On the second anniversary of demonetisation on Thursday, various opposition leaders joined the chorus in criticising Prime Minister Narendra Modi and the Union government, calling note ban a “tragedy” that ruined the dreams and aspirations of millions of Indians. Dubbing demonetisation a "tragedy", Congress chief Rahul Gandhi alleged that the government's move was a carefully planned "criminal financial scam" whose full truth is yet to be revealed. He further said the note ban was a planned "brutal conspiracy" and a "shrewd scheme" to convert the black money of PM Modi's "suit-booted friends". "India will discover, no matter how the government tries to hide it, that demonetisation wasn't just an ill-conceived and poorly executed economic policy with 'innocent intent', but a carefully planned, criminal financial scam," the Congress chief added. Rahul Gandhi claimed that those who were worst affected by demonetisation were the poorest of the poor, who he said were forced to queue in front banks for days to exchange their meagre savings. According to him, over 120 Indians died in those queues, millions of small and medium businesses were "smashed" and the entire informal sector "devastated". Former prime minister Manmohan Singh said demonetisation was an "ill-fated" and "ill-thought" exercise. "Today is a day to remember how economic misadventures can roil the nation for a long time and understand that economic policy making should be handled with thought and care," Singh said. Former Union minister P. Chidambaram dubbed demonetisation the "most ingeniously-designed official money-laundering scheme". "Demonetisation did not put an end to fake currency. On the contrary, counterfeiters have successfully counterfeited the new Rs 2,000 and the new Rs 500 notes," he said. Andhra Pradesh Chief Minister N. Chandrababu Naidu called it a disaster and said the country is yet to recover from the economic 'setback' caused by the BJP government's 'hasty' decisions. "Implemented in the name of destroying black money, demonetisation succeeded in destroying employment, markets, business, liquidity and economic growth,” he said in a tweet. CPI(M) leader Sitaram Yechury accused the prime minister of "singlehandedly" destroying the livelihood of people and the economy of the country through note ban. "Modi and his minions claimed demonetisation will end black money, finish corruption, terminate terrorism, and bring only digital transactions. Two years later, Modi is silent. The truth is that he singlehandedly destroyed the economy, lives and livelihoods," he tweeted. Nationalist Congress Party (NCP) leader Ajit Pawar termed demonetisation as the "biggest failed monetary experiment" and added that the people will give a befitting reply to the BJP in the upcoming general elections in 2019. "Finally everyone is realising the impact of the biggest failed monetary experiment, conducted at the cost 1.3 billion Indians. People of this country will never forget this & give a befitting reply to the BJP in May 2019 #DestructionByDemonetisation," he said on Twitter. The DMK too hit out at the Union government over note ban saying it was a "one-man made disaster" for the country which irreversibly affected the economy. "Indians stood in endless lines & many died outside banks, millions of jobs were lost, small industries shut & the economy hit irreversibly. #DestructionByDemonetisation is a one man made disaster for India," DMK president M.K. Stalin said in tweet. The AIADMK, however, chose to carefully word their comments on the issue as the party said the people's verdict on demonetisation would be known only after the next year Lok Sabha elections. 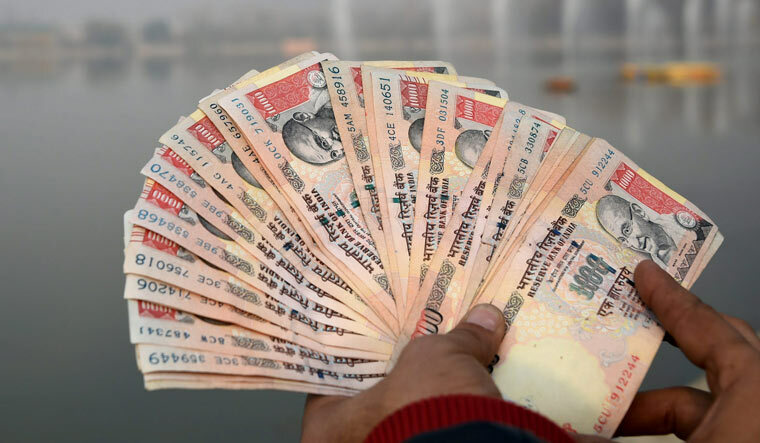 "Be it demonetisation or any other reform, whether such initiatives can be accepted or not lies with the people and only they decide," said AIADMK leader and Fisheries Minister D. Jayakumar.